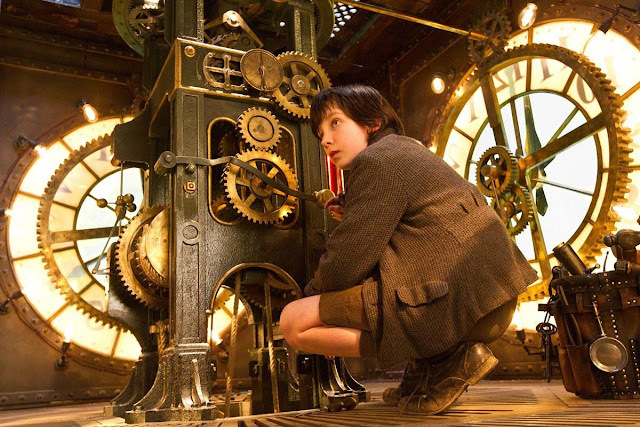 Baugh's Blog: Film Review: Scorsese's latest - "Hugo"
Film Review: Scorsese's latest - "Hugo"
A couple of weekends ago, my wife and I took the kids to see the new Martin Scorsese film Hugo. I had heard some good things about it; it was said to be an intelligent film – not the usual slick stuff from Disney, or Hollywood. I have to admit I was wary about this outing. The film was being shown at a nearby “multiplex” cinema complex. The last time I went to one of those, we saw March of the Penguins. It was a good nature documentary, but the screening of the film was appalling – the image on the screen was very grainy. And when we got in line for Hugo, I noticed on the marquee that it was actually being shown in 3-D, which meant an extra $3.50 for each ticket. So the cost for our family – just to see the film - was $58.00. Man, am I out of touch! Anyway,3-D; would the special glasses work properly? No to worry, though. The image was high-definition perfection. The 3-D effects, although not always effective, were very impressive most of the time. And wearing the 3-D glasses over the top of my own glasses was no problem. Hugo is based on a children’s book called The Invention of Hugo Cabret by Brian Selznick - released in 2007. It’s a 526-page illustrated novel – an amalgam, really, of novel, picture book, graphic novel, and flip-book. It tells the story of Hugo, a 12-year-old orphan who lives in the walls of a busy Paris train station in Montparnasse in 1930. He works as a clock keeper. In order to survive, he steals food from local shops. He has also been stealing small clockwork toys from a toy shop in the train station run by a morose old man. He needs parts of the inner workings of these toys in order to repair an automaton his father had been fixing just before his death. 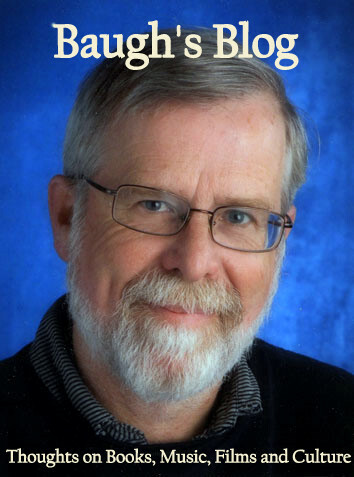 He is befriended by Isabelle - also an orphan - who lives with the toy-shop owner, her godfather. The first half of the film gives an account of their adventures. 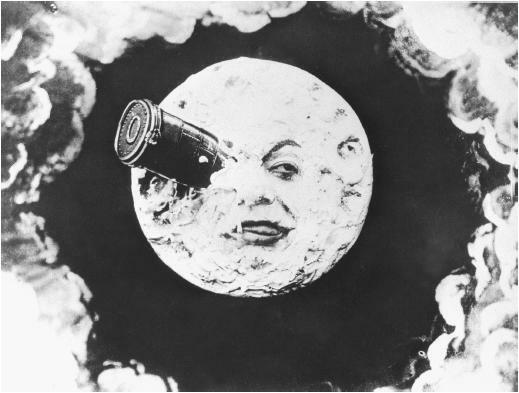 It turns out that Isabelle’s godfather is none other than Georges Méliès, the great French illusionist and filmmaker. Méliès made 531 films between 1896 and 1913 (some only a minute long, others stretching out to forty minutes). He introduced many technical and narrative innovations to the making of films. 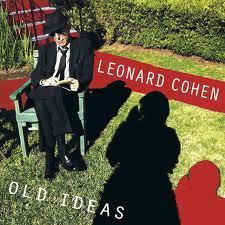 He pioneered the use of multiple exposures, time-lapse filming, dissolves between scenes and hand-colouring of film-stock. Many of his films mixed fantasy and science-fiction. His most famous film, A Trip to the Moon (1902), was inspired by Jules Verne’s science-fiction classic From the Earth to the Moon (1865). You’ve probably seen that familiar scene from the film – a spaceship is shot from a gigantic cannon at the moon. When it arrives at its target, we see it hit the eye in the man on the moon. Martin Scorsese is an avid historian of early films. He champions the work of key figures he loves - a good example is his promotion of the films of the little-known, but brilliant, English filmmakers Michael Powell and Emeric Pressburger. Buy any of their films on DVD and you’ll probably find Scorsese talking about the film and its makers in the one of the DVD’s bonus features. And the second-half of Hugo turns into an homage to Georges Méliès. There is a fascinating, extended sequence depicting the filmmaking process in the film studio he built on his property in Montreuil, just outside of Paris. It shows him using a substitution shot (“stop trick”). This account of Méliès’s life – the glories of his artistic peak and the sadness of his decline - is suffused with ardour and melancholy. It really turns into a meditation on art, illusion, magic, filmmaking and time. Not really a children’s film, eh? In this second half of the movie, I expect younger children will start to yawn and squirm. But I found it the most captivating part of the story – and, surely, Scorsese’s real motive in making the film. This is a different kind of film for director Martin Scorsese. The script was written by Josh Logan and it is very faithful to Selznick’s book. The juvenile leads are played by Asa Butterfield (Hugo) and Chloe Grace Moretz. There is a small sub-plot at the train station involving Frances de la Tour and Richard Griffiths. Sacha Baron Cohen does a comic turn as the cruel Station Inspector. But the best acting performances come from Ben Kingsley, as Georges Méliès, and the lovely Helen McCrory, as his wife, Mama Jeanne. These are not complex character-treatments, but they certainly hit all the right notes. Christopher Lee is in a few scenes, as a Parisian bookshop owner. And Scorsese appears in cameo, just for a moment. 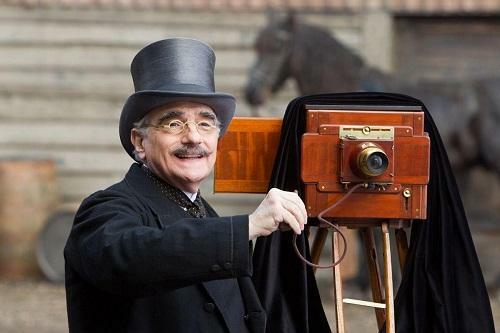 Martin Scorsese, the director, does a brief cameo in his new film Hugo. This is a wonderful entertainment. And a good introduction to modern 3-D films. Some of the sequences are breath-taking. I’m not sure that all children will be captivated by it – perhaps, the first twenty minutes, or so, will grab their interest. But it’s the focus on Méliès that is the human core of this story. I was thoroughly engaged. Might even go back for a second look!